The NEC OPS-PCIC-5WH is a Open Pluggable Specification (OPS) PC that will add full PC functionality to select NEC large-screen displays. Connectivity is easy to manage and simple to use with an integrated Ethernet connection, a DisplayPort output and 4 USB ports. This unit is durable and protected with an all-stainless steel chassis as well as integrated cooling fans. The PC features 2GB of RAM and a Windows 7 Standard Embedded operating system. The NEC OPS-PCIC-5WH has many exciting features for users of all types. 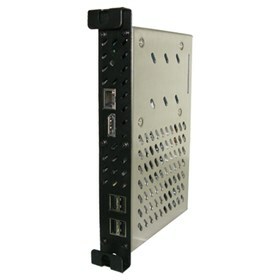 See the NEC OPS-PCIC-5WH gallery images above for more product views. The NEC OPS-PCIC-5WH is sold as a Brand New Unopened Item.